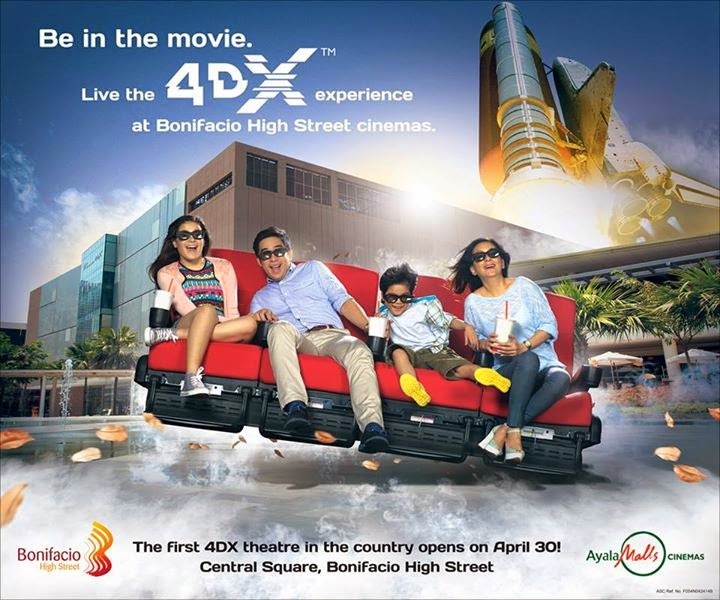 This is a good news for all Pinoy movie hardcores as the 4DX Cinema technology has come to our shore. If you are no longer satisfied with the traditional 2D, 3D or even IMAX format, then this 4DX technology will definitely take you to the next whole new level of watching your most anticipated movies in the future. 4DX is cinema technology developed by the South Korean company CJ 4DPLEX. The movies in this kind of theaters remain the same as it does not require especial cameras to shoot films unlike films for IMAX releases, those will be standard motion pictures but it is the theaters that are customized with environmental effects such as motion, scents, mists and wind which are in addition to the audio and visual presentation we already know and love. So yes this 4DX Cinema is already here! The very first one in the county is located at Bonifacio High Street in Taguig City and is currently showing the Amazing Spider-Man 2. How much does it cost? As per SureSeats' the Amazing Spider-Man 2 reservation page it is for Php450. If you guys have tried it, kindly share your experience and thoughts about it through the comments section below.